Free Shipping on all of our photo paper prints! 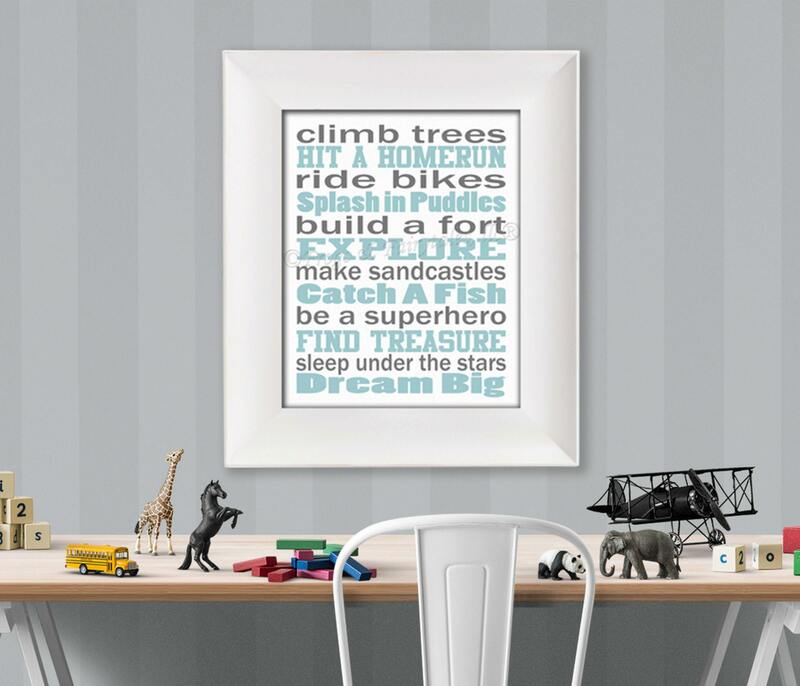 This is a great wall art print to hang in your little boy's room or playroom! 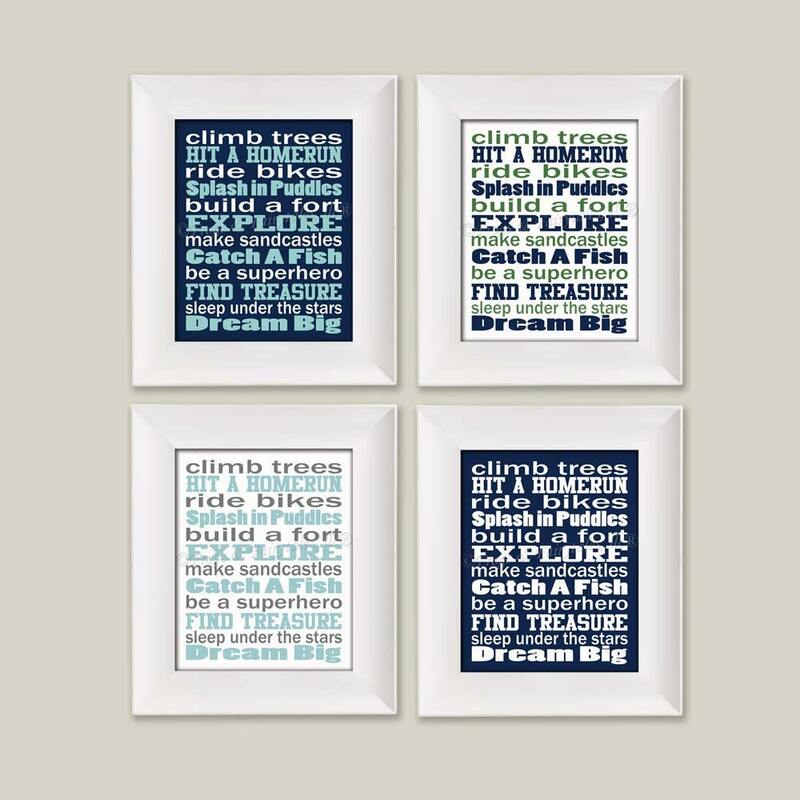 It says: "Climb Trees, Hit a Home Run, Ride Bikes, Splash in Puddles, Build a Fort, Explore, Make Sandcastles, Catch a Fish, Find Treasure Sleep Under the Stars, Dream Big" The listing example shows four different color schemes, which you can choose from using the drop down menu, or select custom colors if you'd like us to print this piece in colors not shown. If you select custom colors, please use the note to seller section of your invoice to tell us what colors you'd like it printed in. We will message you with a proof to approve before printing. Watermark will not appear on your print. Frame not included. 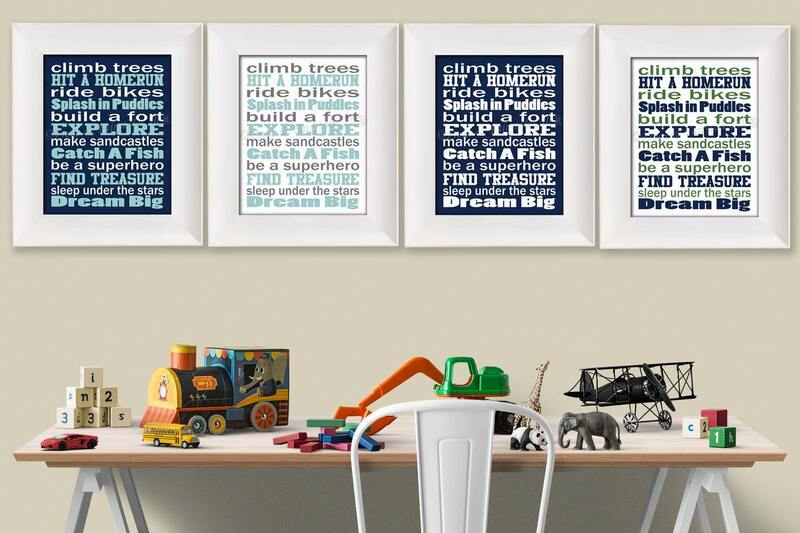 This wall art is printed on thick, archival, Epson Premium Luster Photo Paper with fade resistant inks. It is packaged in a clear cellophane resealable bag with a piece of cardboard to keep it from bending.